David Le/Gloucester Daily Times. 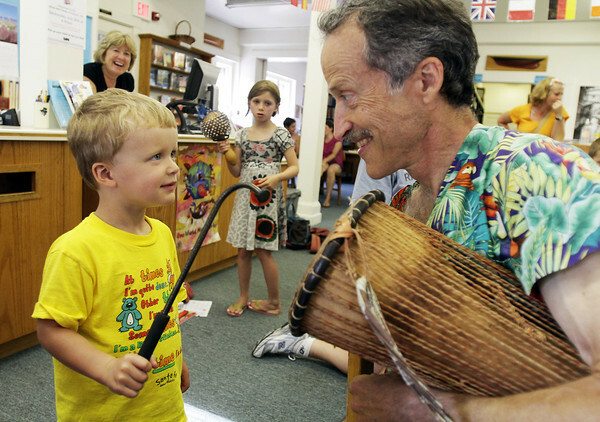 Doron Appleyard, 3, of Essex, uses a mallet to bang on a drum held by guest musician John Root at A World of Music program held at the TOHP Burnham Library in Essex on Monday afternoon. 7/11/11.